Grand Design Blinds specialise in custom-made complex shaped blinds for any type of glazing. Our products are of the highest quality and we offer a bespoke, personalised service. We focus on modern architectural design practice, with expert advice and worldwide surveying and installation. We are able to provide high quality shading systems from a wide range of suppliers to ensure no job is impossible, no matter what shape or size. 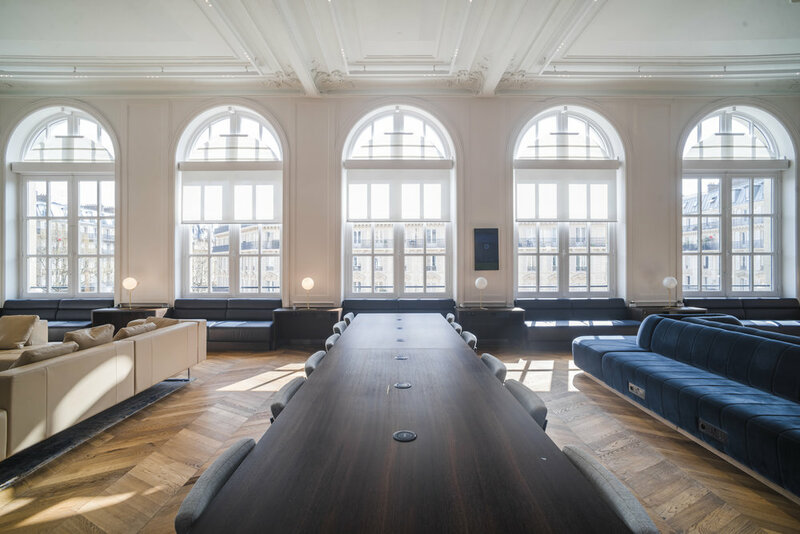 Our bespoke motorised blackout pleated blinds were specified by Níall McLaughlin Architects for the shaped windows in the beautifully detailed auditorium of this building - shortlisted for the RIBA Stirling Prize 2018. At 4.5m tall, these windows were certainly a challenge and one we took great pleasure in solving. 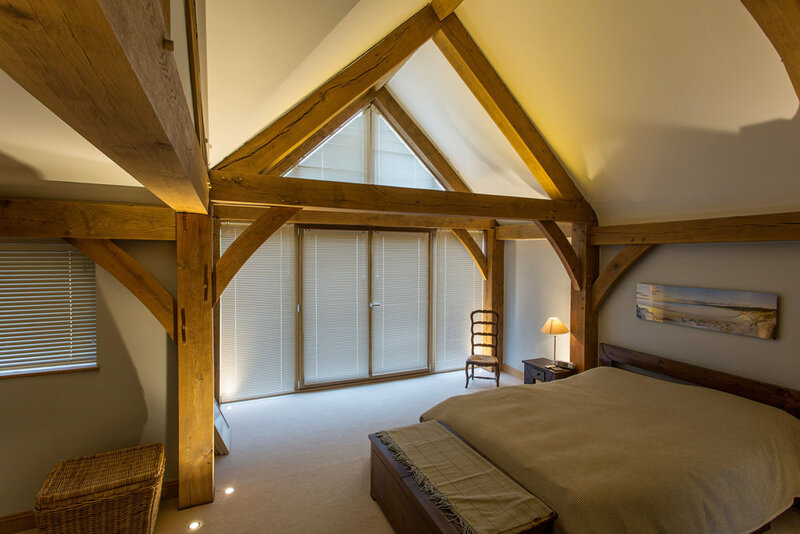 "We are beyond thrilled with the blinds and think you may have lots of recommendations coming your way via my architect who was equally bowled over." "It was a pleasure from start to finish dealing with Grand Design Blinds. Their thoroughly professional approach from initial contact through to survey and fitting exceeded our expectations. Very nice people and a very nice product." 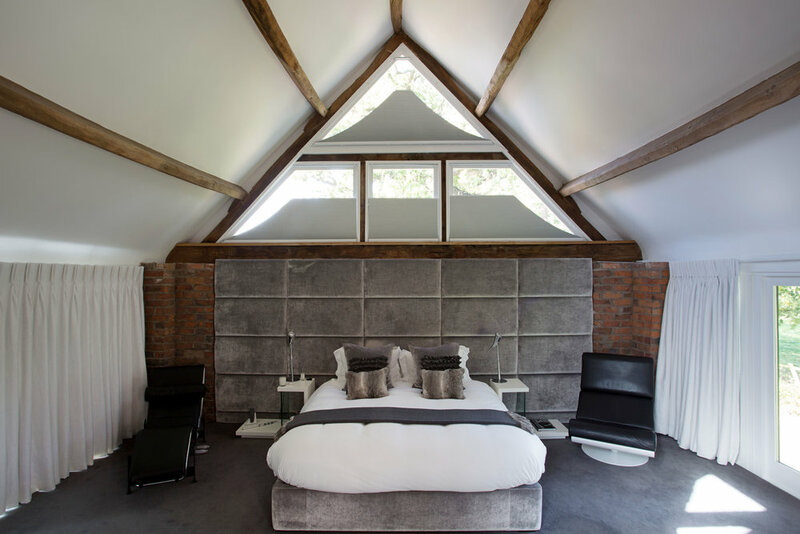 "Not only do we have numerous triangular windows, but timber frames too – a combination that is not easily dressed! From all of the companies that we sought advice, GDB were the only one to come up with a solution that met our needs and taste – thank you!" "The blinds are very elegant from inside looking out and almost invisible from the outside looking in – very different from anything we can see in the neighbouring apartments, full marks to you for coming up with a quality product." "It was trickier to find a 'blind' solution than it was to get the gable end glass designed and installed. Other companies came to a grinding halt with any solutions, but GDB did what they said they would do – respond fast with ideas, create a bespoke solution and fastidiously install the end result. All done with aplomb." "I am so pleased with the blinds. I was delighted with the speed, efficiency and politeness with which they were supplied and fitted. The sun has shone sufficiently for me to know that not only do they look good but they do a marvellous job of blocking the sun without making the room too dark." We are a family run business with exceptional customer service and imaginative solutions at our heart. Grand Design Blinds offers nationwide blind installations and expert consultancy on all shading solutions, particularly for shaped glazing. For more information about any of our products or services, please do not hesitate to get in touch. If you would like an estimate for your project, no matter how big or small, please email us photographs and dimensions, or drawings. Our prices start from £2,000.00 + VAT for full survey and installation. Copyright © 2017 Grand Design Blinds Ltd.